Check out this post that will be featured on Chip and Co later this week! Disney has many unusual and coveted adult beverages, and those are certainly worth the merit they receive. Today, however, I want to talk about the fun and unusual non alcoholic drinks you can find at WDW. There are so many unique offerings that will keep your kids happy and even satisfy your adult palette. Here is my list of top five non alcoholic beverages at WDW. 1. The PB&J Milk Shake: You can drink this unusual treat at The 50’s Prime Time Cafe in Hollywood Studios. The name of this shake may put you off, but it is certainly worth a taste. It is a time tested flavor combination and it does not disappoint, even in a blended drink! 2. Strawberry oolong tea slush: You can find this at The Joy of Tea Kiosk at the China Pavilion in Epcot. This is a fun and oddly refreshing drink. The other option here is a Mango Green Tea Slush which is also a great choice! 3. Orange Dreamsicle Milkshake: You can get this little treasure at Whispering Canyon Cafe located at the Wilderness Lodge. Not only is this a great flavor, but you cannot beat the fact that it is served in a mason jar. The plain old chocolate milkshake is also amazing and is worth a taste or ten! 4. Club Cool: If you head over to Club Cool in Epcot you will be able to sample free Coke products from around the world. Some are fun and yummy, others you really need to watch out for! If you haven’t been Ill let you figure out which is which! These are fun non alcoholic drinks and the best part is they are free! 5. 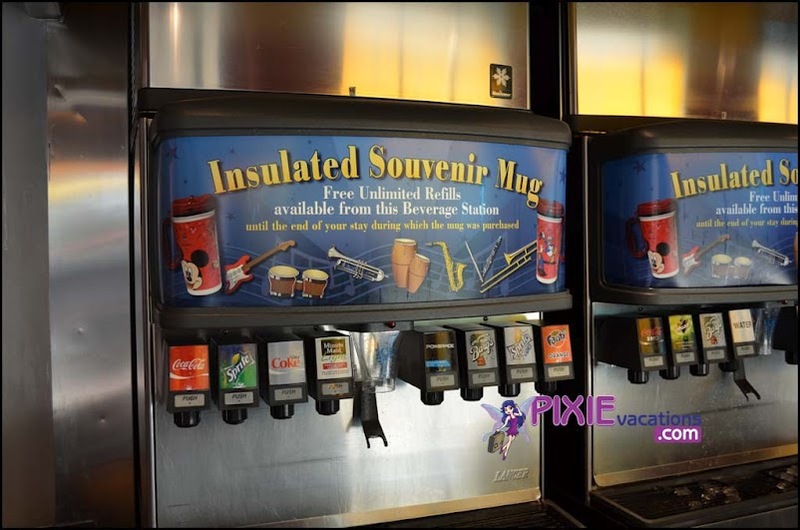 Frozen Coke: You can get these tasty drinks at several locations on Disney property. Check out The Lunching Pad in the Magic Kingdom and Liberty Inn in Epcot. My honorable mention goes to the Dole Whip Float at Aloha Isle In The Magic Kingdom. This is one of the best drinks/ treats on property, but I truly wanted to open up the door to new choices for you lovely readers! What are your favorite non alcoholic beverages? This entry was posted in Top Five. Bookmark the permalink.